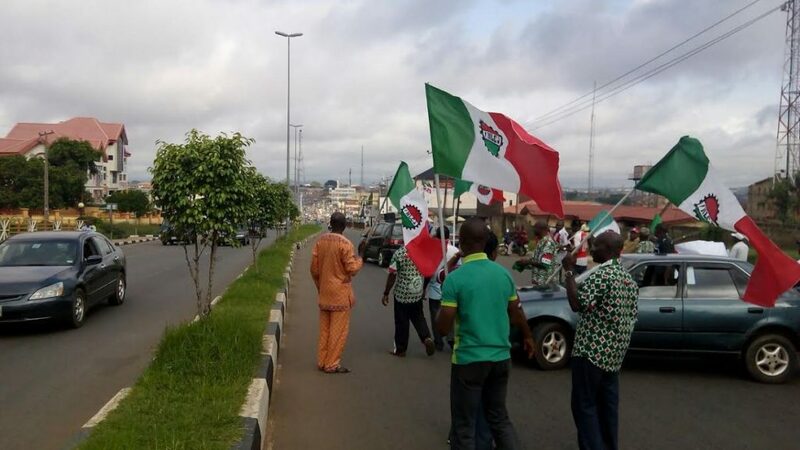 The Conference of Nigeria Political Parties, CNPP, Edo chapter, has called on the Nigeria Labour Congress, NLC, to accept the N27, 000 new minimum wage endorsed by the National Council of State in Abuja yesterday. The call was made by the Chairman of CNPP in the state, Roy Oribhabor, in Benin on Wednesday. He urged the NLC to accept the new minimum wage as a matter of love and patriotism, in spite of the economic hardship being experienced in the country. He emphasised that the appeal became necessary after a critical evaluation of the N27, 000 minimum wage in Nigeria as approved by the NCS. â€œIn as much as we know things are hard, we solicit for understanding because of the reality on the ground today from some states. â€œWe commend the leaders of the NLC for the foresight and determination to provide acceptable wages for Nigerian workers,â€ Oribhabor said in a statement. He also called on state governors to be more prudent with management and allocations of resources for the betterment of the people. â€œTherefore, transparency and accountability should be their primary concern. â€œFinally, we appeal to labour unions not to allow politicians to use them to advance their agenda to the detriment of the Nigerian State. â€œThis is the best time to show understanding and accept the minimum wage because the process of salaries increment is never an ending negotiation, hence our appeal,â€ he said. How is paying 30k a thing to even discuss?